My name is Karoline Spiessl and I am a qualified German translator (MSc, M.A.) 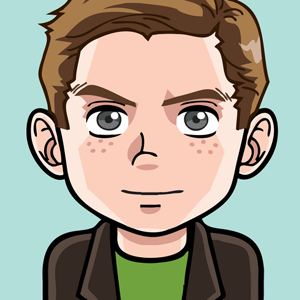 with extensive professional experience and a specialist in SEO & Marketing, IT and medical technology. Document and certified translations are also available. I offer translations from English, French and Russian into German. 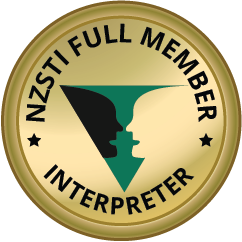 I offer English<>German interpreting services in New Zealand. Are you organising a conference in NZ or planning on-site visits? Together, we'll find the best interpreting solution for your requirements. I've worked together with Karoline on a fairly extensive IT-related project. She has been very thorough and reliable in her work. I can only recommend her! Karoline was recommended to us when we were looking for someone to translate our company website into English. She entirely met our expectations, was very professional throughout the entire project and we are extremely satisifed with the quality of her work. I look forward to working with Karoline in the future and I would highly recommend her. Karoline is a fantastic translator with strong knowledge of SEO. She worked on several projects including translation, proofreading and optimization, as well as key word research in German. The quality of her work is irreproachable, and we highly appreciate the smooth communication and the adherence to strict deadlines! A pleasure to work with! Throughout the years, Karoline has consistently delivered quality translations often under difficult timeframes. She is always able to effectively handle difficult deadlines, challenging subject-matters covering a wide range of technical fields, and always seems to thrive under pressure. 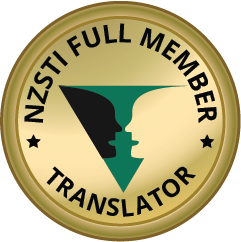 Her commitment to quality is apparent at every stage of the project and I would highly recommend her to anyone that is looking for a reliable German translation partner. We have been cooperating with Karoline Spiessl for a number of years at our Institute at the Center for Cognitive Sciences at the University of Bremen. Karoline has been supporting us in the translation of conference material, examination and admission regulations for our M.Sc Graduate Programme as well as several brochures and flyers. She is highly professional, prompt and accurate and thus we are pleased to recommend her services and to continue the fruitful cooperation. In the course of the past few years I have worked with Karoline Spiessl on various translation as well as proofreading projects. Ms. Spiessl is a highly dependable professional, both in quality and timekeeping. Her expertise covers a wide range of subject matters and she is always is particularly mindful of the target audience. I wholeheartedly recommend her services to anybody requiring German language translations. Undertaking project work for iProspect Karoline has demonstrated exceptional language and technical skills delivered with attention to detail, professionalism and efficiency. Karoline produced work for iProspect in response to international SEO briefs from a National Tourist Board and a Global Whisky client. The work Karoline delivered involved keyword research, meta data and in-depth website content assessments covering German, French, Chinese simplified and Russian languages. Karoline is great to work with, I would highly recommend her as a multilingual digital expert and I look forward to working with her again.